This is the life story of Ehrich Weiss. 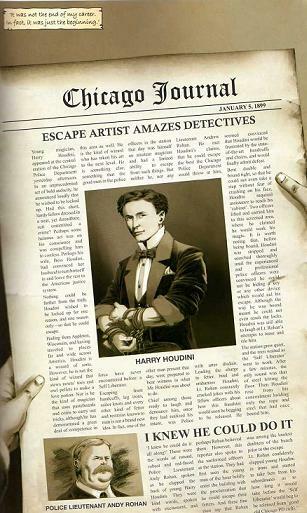 If you don’t recognise this man’s name, that is because the world came to know him as the one and only Harry Houdini. George Bernard Shaw once remarked that Harry Houdini is the third most famous name in history after Jesus Christ and Sherlock Holmes. While that might be a bold and debatable statement, there is no doubt that Houdini is the most famous magician to have ever lived. Almost a hundred years after his death, his name is still synonymous with death-defying stunts and unimaginable escapes. His ability to get out of seemingly impossible situations, along with his knack of dealing with the public and the press, made him a legend in his own time. 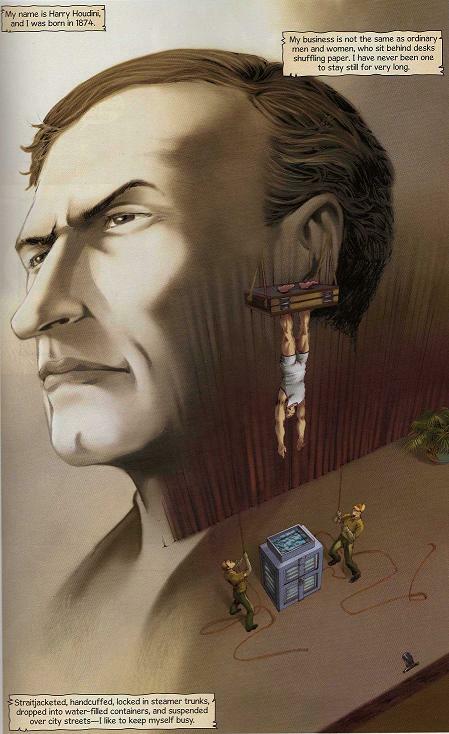 Some of his most notable escapes, which still cannot be explained, were the Mirror Handcuff Challenge, the Milk Can Escape, the Chinese Water Torture Cell and the Suspended Straitjacket Escape. 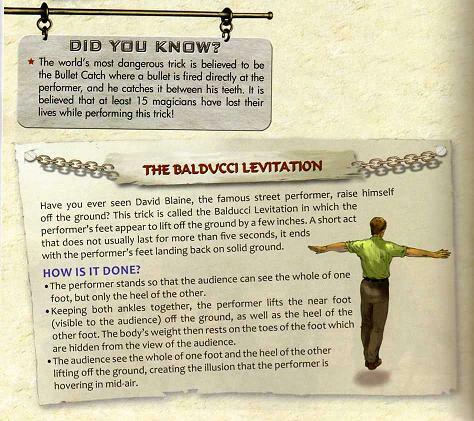 How did a poor, uneducated boy rise out of poverty and become the greatest illusionist of the 20th century? 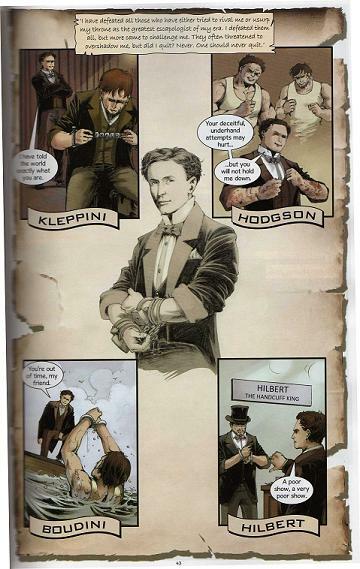 The story of Houdini’s life is not only entertaining, but also educational. His struggles in life and his determination to succeed are a lesson to all. For such a famous figure in history and for someone who finds performance artists, especially magicians, fascinating I really do not know that much about Harry Houdini. 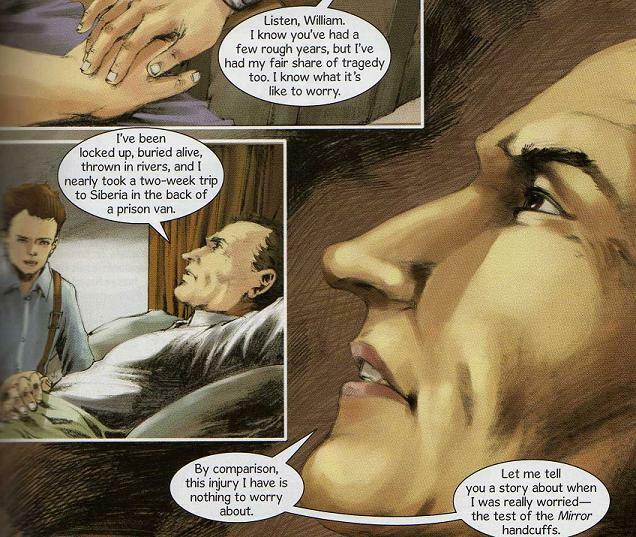 That is until I read this graphic novel and now I know a bit more. I love it when something you read is not only enjoyable, but it can inform and educate you as well, such as Harry Houdini has. I haven’t been able to read that much lately due to writing, but when I was able to read it I found it quite well written and presented, enough for it to draw me in. I am also a sucker for biographies, but it does have a lot to do with how it is told and who the figure is. I think the art suits the story and time setting as well. 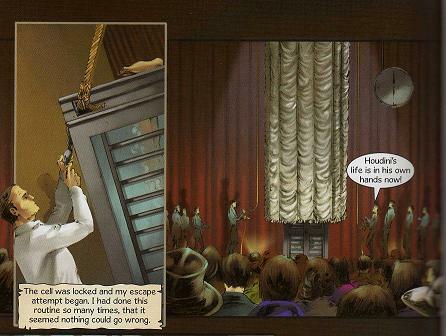 The figures are well drawn, the panels are neat which I think suits the time period, and I really like the interspersion of journal entries in the story. 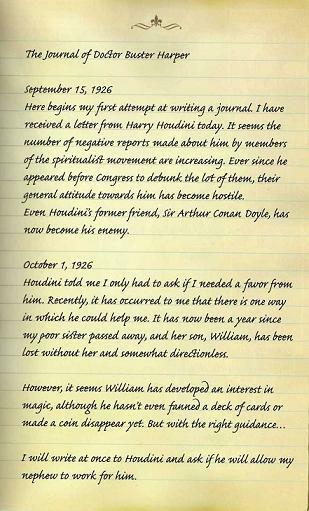 The story is told in Harry Houdini’s perspective, but the journal entries are in another’s perspective which I think gives it a nice touch. 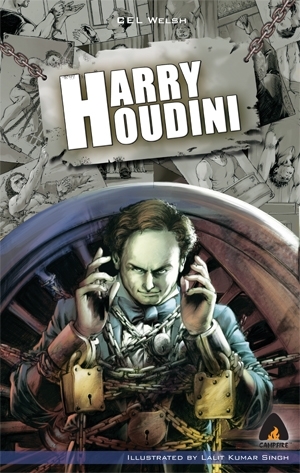 Given those aspects of it and the fact I learnt several new things about Houdini himself (such as how he died and it’s true I didn’t know it was from a ruptured appendix), and the inclusion of explaining several magic tricks with fun factoids at the end make it an enjoyable graphic novel to read, especially if you are a Houdini fan.